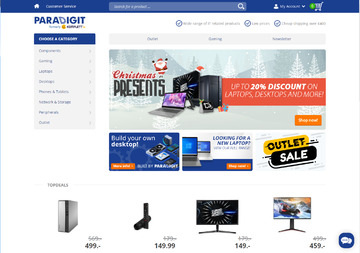 Komplett.ie is the best shop for all your electronics. Low prices, free shipping over €400, and friendly customer service. Unfortunately cash back is temporarily not available at Komplett.ie. You can still find coupons and earn cash back at one of the similar stores listed on the left-hand side of this page.